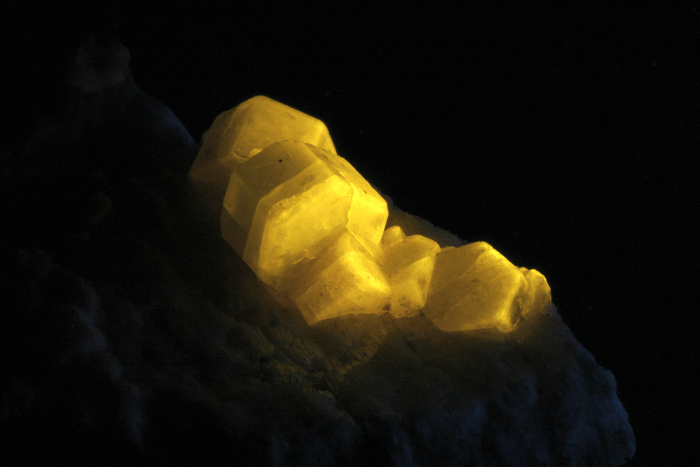 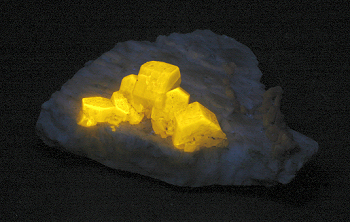 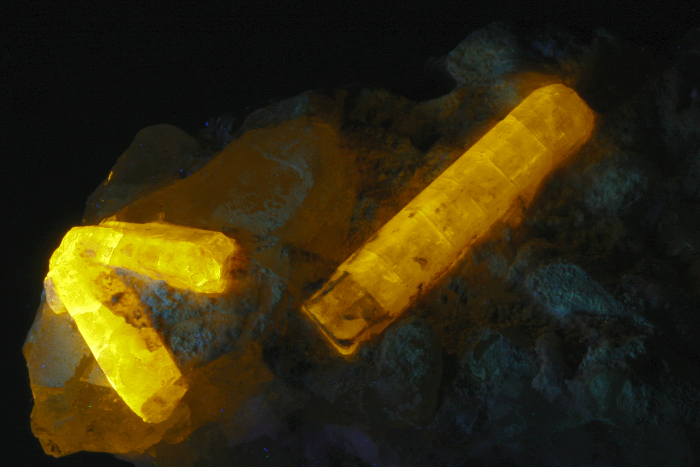 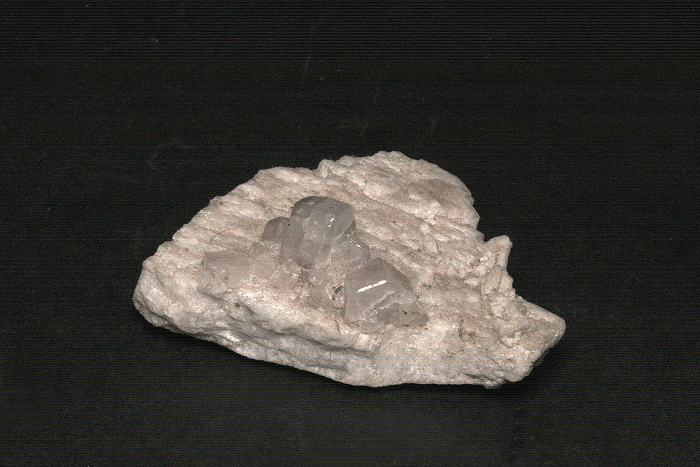 Synthetic fluorapatite doped with manganese-II and antimony-V formed the basis for the second generation of fluorescent tube phosphors referred to as halophosphors (before 1942, synthetic Mn-doped willemite was used). 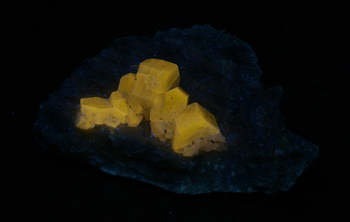 When irradiated with 253.7 nm mercury resonance radiation they fluoresced with broad emission which appeared within the range of acceptable whites. 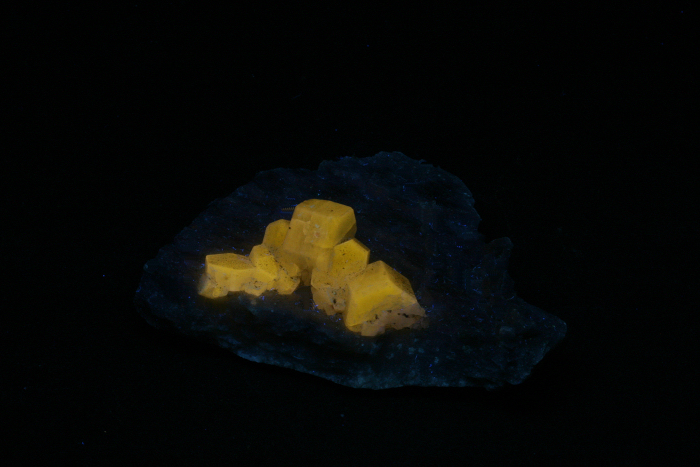 The antimony-V acted as the primary activator and produced a broad blue emission. 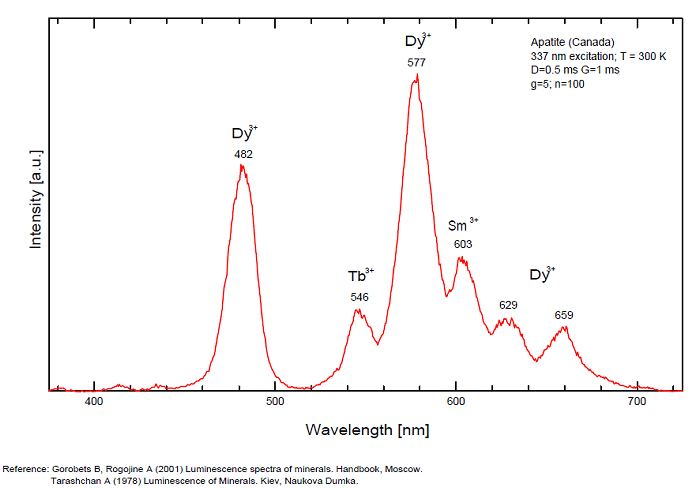 Addition of manganese-II produced a second broad peak to appear at the red end of the emission spectrum at the expense of the antimony peak, excitation energy being transferred from the antimony to the manganese by a non radiative process and making the emitted light appear less blue and more pink. 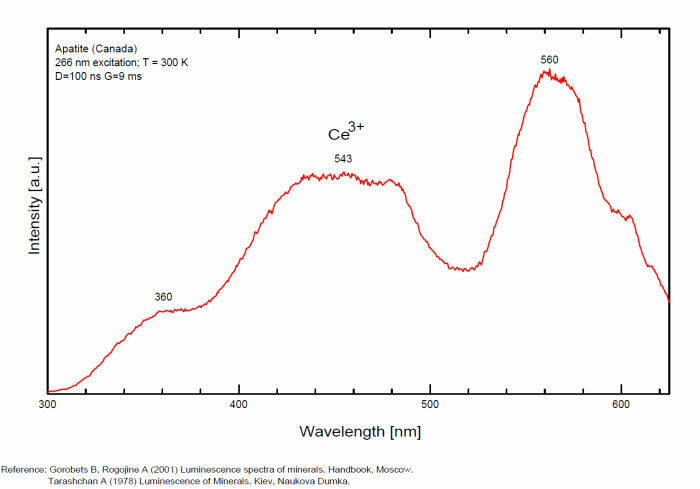 Replacement of some of the fluoride ions with chloride ions in the lattice caused a general shift of the emission bands to the longer wavelength red end of the spectrum. 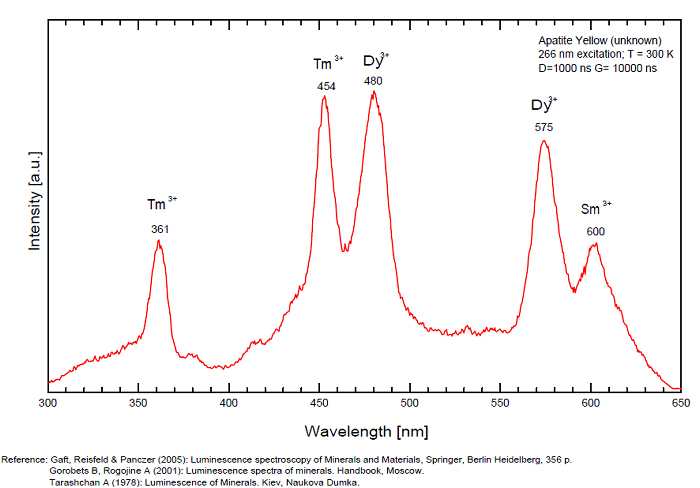 These alterations allowed phosphors for Warm White, White and Daylight tubes, (with corrected color temperatures of 2900, 4100 and 6500 K respectively), to be made. 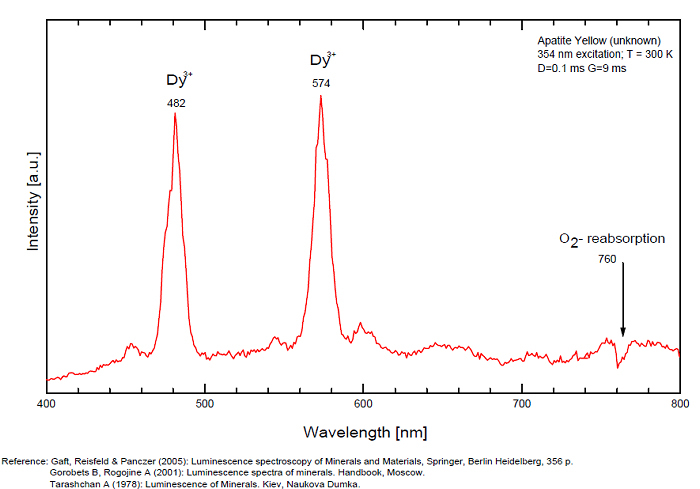 The amounts of the manganese and antimony activators vary between 0.05 and 0.5 mole percent. 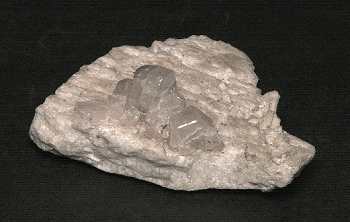 Sometimes some of the calcium was substituted with strontium giving narrower emission peaks. 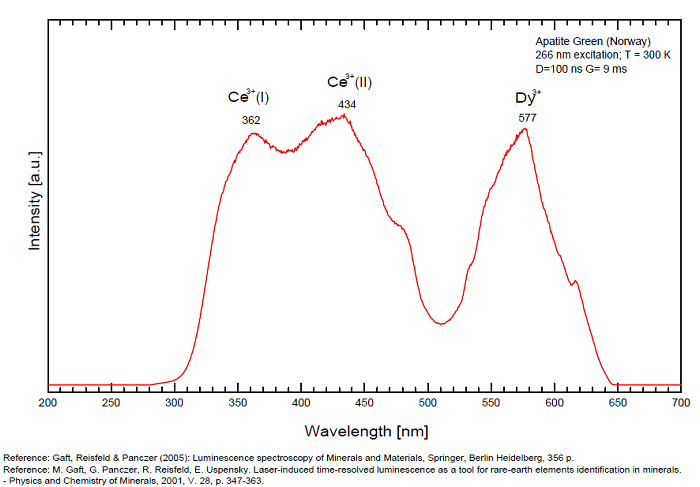 Since about 1990 the third generation TriPhosphors, three separate red, blue and green phosphors activated with rare earth ions and mixed in proportions to produce the desired color, have largely replaced halophosphors.